The complete list is available in the long description. 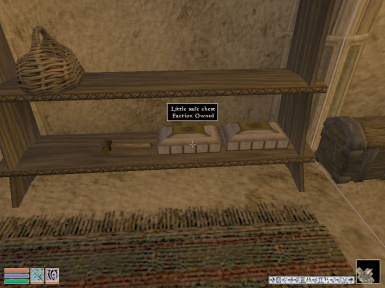 All the weapons, clothes, armors have a very high enchantment capacity, all the spells always succeed, there aren't anymore empty containers, the containers respawn much fastly and the list goes on. About this mod and the cheats/god items: This mod is not in the cheats and god items because you will become (nearly) invincible only if you decide to. DIMTB doesn't change your character it only gives you choices, you can use the new enchantment capacities at their full power as well as at only 4% it's all up to you. The same applies for the newly available magic effects and the fact the spells always succeed ; you can use spells less oftenly and nothing forces you to use the unlocked ones, it's all up to you again. Yes the vanilla game is very easy but there are mods to change it and the extensions aren't as easy. If your character is too weak and you absolutely want to finish the extensiosn right away DIMTB gives you the possibility. So no Dramatically improved Morrowind Tribunal and Bloodmoon is not a cheat mod, saying it is totally wrong and very reductive. 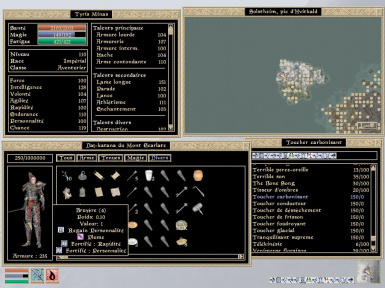 IMPORTANT NOTE: Due to the way Morrowind was made you will need a cell/language converter tool to enjoy all the features. This one should do je job. The places where my changes are likely not to appear are marked by a *. so I advise you uninstall them before installing this one to prevent any conflict. 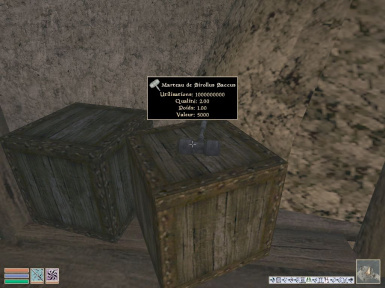 The special bread and the muffin are available for sale in Nalcarya of White-Heaven's shop in Balmora with an instant respawn. The creatures always give an ingredient. All the pieces of armor have the same enchantment capacity than the daedric tower shield. 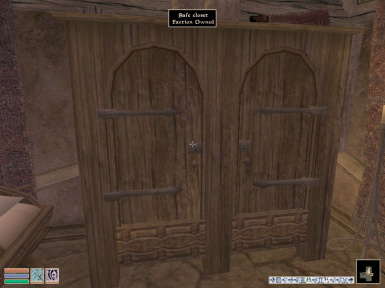 All the clothes have the enchantment capacity than the 6th house amulet. 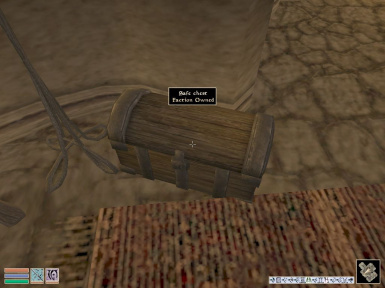 Excepting the corpses, the evidences chests, the safe containers I created and the player-owned ones (in the safe chouse containers file) all the containers respawn (apart from a few exceptions). 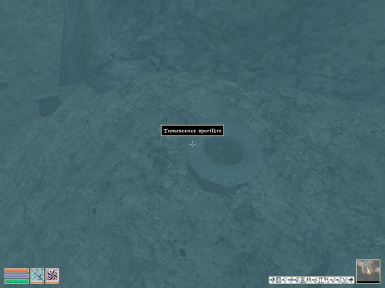 The vanilla-empty containers have something to loot and respawn. 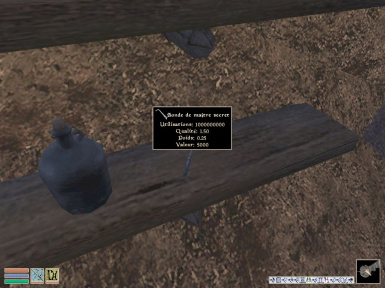 All the containers present in the CS but not in the vanilla game are now available apart from 2 exceptions. The respawn respawn after 1 in-game month instead of 4 in the vanilla game. 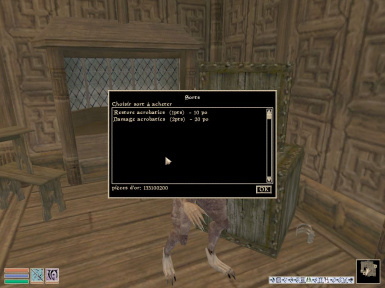 Some creatures absent of the vanilla game are implemented in the game and in liveled lists. 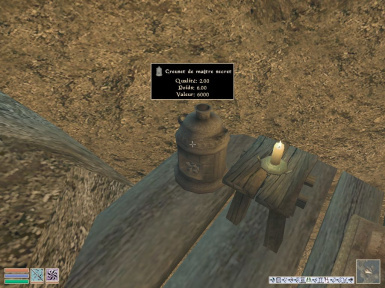 Creeper and the trader mudcrab have 25 millions septims to barter, buy every kind of objects, repair, create spells and enchant objects. The trader mudcrab has a fortify alchemy (with unlocks all the fortify skill spells) and a restore magicka spell for sale. Creeper has a fortify magicka multiplier, a restore skill and a damage skill spell for sale. 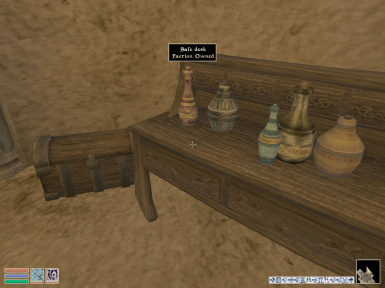 I removed the vanilla containers and replaced them by custom-made ones with a higher storage capacity in the Indarys manor, Rethan Manor, Tel Uvirith and the factor's estate in Raven Rock (Solstheim). 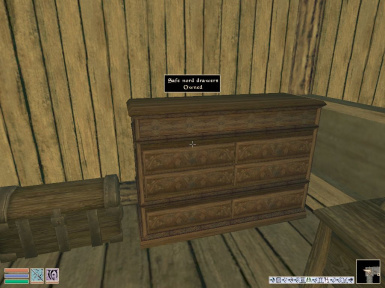 I added safe containers in the Bloodskaal's house (Skaal village, Solstheim). 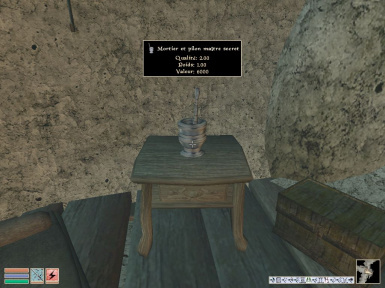 Note: if you can't convert this mod from french to your version take the safe house containers file. All the spells always succeed. 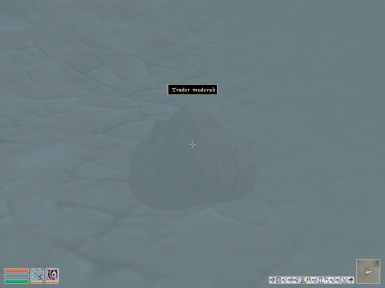 You can teleport to the Ghostgate, Maar Gan and Suran temples using ALMSIVI interventions. 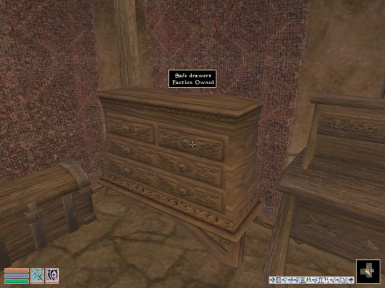 All the non-enchanted papers, books and scrolls have an enchantability of 100 points. The NPC's of the merchant class trade every kind of goods except spells and offer a instantly respawning supply except for the slavers. 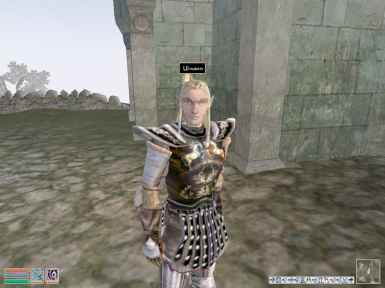 Some NPC's are present in the CS not in the game, I added the following ones, all the hostile NPC's and the ordinators respawn. The corpses of Remas Morvayn, Pegasai, Tyronius and Yanniss are persistent. The corpses of Fryssa, Also-he-washes, Keerasa-Tan and Snail-tail are persistent. Note: The travel markers aren't always well placed, you will sometimes need to disable the collisions (tcl) to get out, I'll fix it when I know how to. If you know how to fix this issue feel free to do so and release it as long as you mention me as the author of the default mod, of course. 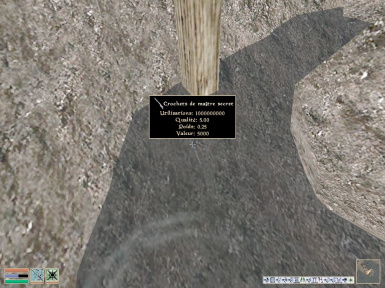 Ald Velothi is reachable by boat. Hallvaror the shipmaster can take you to Dagon Fel, Gnaar Mok, Khuul and Tel Vos. The shipmasters always take to 4 destinations apart from a few exceptions. The caravaners also take you to 4 destinations. Some weapons that only exist in the CS in the vanilla game have been implemented in the game. All the weapons have the same enchantment capacity than the ebony staff. Each point of strength allows you to carry a weight of 10000. The leveled lists always give a guaranteed result. 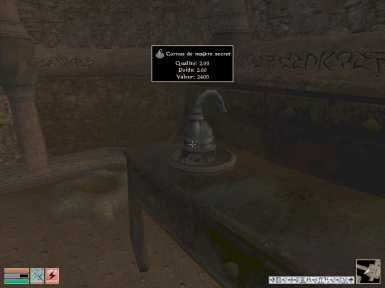 You are free to upload this mod on other sites, translate it, merge it with others, adapt it on similar games or on the other language versions of Morrowind as long as you credit me as the original author.